Show your love by serving up your heart on a platter. More like a jiggly, gelatinous replica. This 6" x 6-1/4 x 2-1/8" clever gelatin mold is in the shape of a human heart. Recipes included. 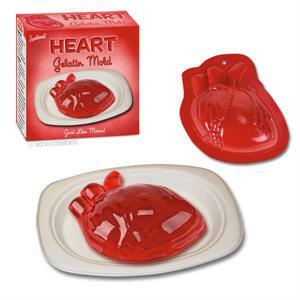 Perfect for Valentine's Day, Halloween or a Zombie-themed dinner.